Contact Gayle today for costs and availability. Walking distance to town, plenty of room for everyone, excellent facilities. We will definitely stay there again. It was one of the nicest places that we have stayed, close to everything very well appointed and the owners of the property were the easiest of people you could ever wish to deal with I would highly reccomend this property to anyone. What a beautiful house. We needed a half-way point stay and this was perfect. Very roomy, gorgeous kicthen and bathroom and a VERY big TV. We enjoyed dinner at the family friendly pub about 20 metres walk away and strolled to the main street on Saturday. Everything we needed was there (I even got a load of washing done) and Gayle was so helpful and friendly. This will definitely be where we stay in the future - who'd stay at a motel when this is available? We wished we could move in!!! Thanks so much Gayle - see you next time. The house is excellent - everything you could ask for and more. 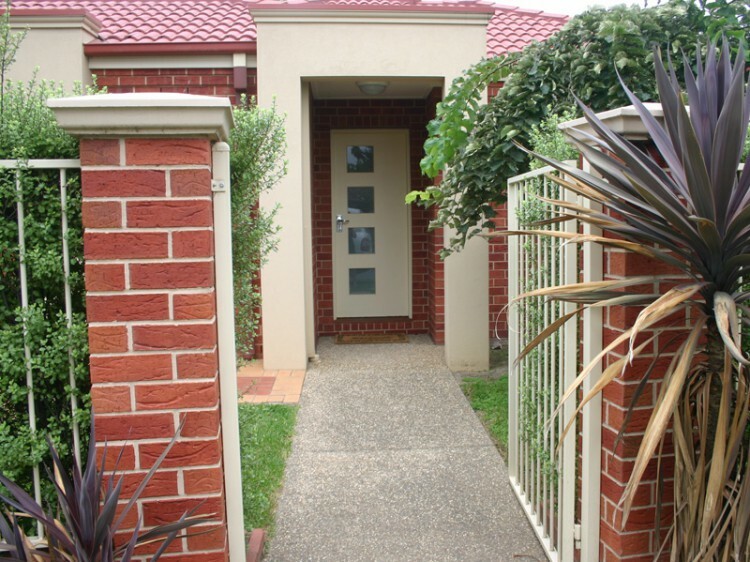 Within walking distance of a good pub, internet cafe, restaurant as well as the CBD. I would definitely stay at Primrose Cottage again and I recommend it to anyone. When we recently stayed at Primrose Cottage we were overcome with the standard of the accommodation on offer. Every little detail had been thought of. The decor was excellent obviously a lot of care and attention to detail has been spent on this property. We look forward to returning next year. Fantastic house to stay in. Very impressed with how much thought and care went into presentation overall. House was clean and the beds were comfy. Nice atmosphere for our Girls Weekend Away. We loved the plasma, specially bought some dvds to watch. Walking distance to the shops and pubs. Recommend such a lovely house to anyone. Will keep in mind for the next weekend away. The following are terms of a legal agreement between you and Executive Cottages. By accessing, browsing and/or using this web site, you acknowledge that you have read, understood, and agree, to be bound by these terms and to comply with all applicable laws and regulations. If you do not agree to these terms, do not use this web site. All content presented on this web site, including but not limited to, text, graphics, logos, button icons, images, articles, audio clips, and software, is the sole legal property of Executive Cottages, unless otherwise noted, and is protected by the Australian Copyright Act 1968, The Digital Agenda Act 2001 & international Copyright laws. None of the material on this web site may be copied, reproduced, distributed, republished, downloaded, displayed, posted or transmitted in any form or by any means, including, but not limited to, electronic, mechanical, photocopying, recording, or otherwise, without the prior written permission of Executive Cottages, the copyright owner, regardless of the purpose or intent of the user. You may not, without Executive Cottages’s express written permission, mirror any material contained on this web site on any other server. You are also prohibited from linking to any individual page of this web site other than the opening page from any other web location without first obtaining prior written permission from Executive Cottages. Any unauthorized use of any material contained on this web site is in direct violation of copyright laws, trademark laws, the laws of privacy and publicity, and communications regulations and statutes. All others wishing written permission to use any material on this web site please contact Executive Cottages directly. For more information about copyright see the Australian Copyright Council’s web site. We invite you to experience our Family Friendly, Home away from Home atmosphere. We provide good old fashion personal booking service and luxury, comfortable accommodation for your short or long term stay. Our Cottages will have you coming back again and again. We welcome comments about your experience while staying in our cottages. Like us on Facebook! Like and Share our Executive Cottages Facebook page to receive a special gift on your arrival. You must LIKE & SHARE otherwise we won’t know that you have done so!! !